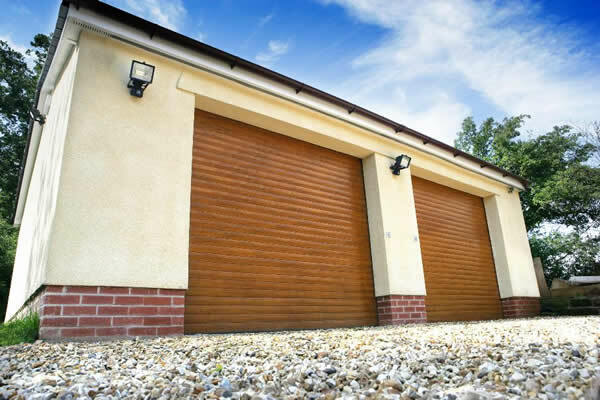 We offer the complete range of Up & Over Garage Doors available on the market, from the leading International Manufacturers. 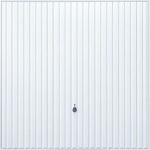 Supplied and Installed from £450 (Price Includes VAT). 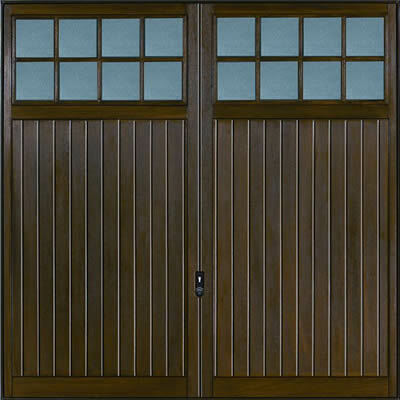 We provide extensive MANUFACTURER'S WARRANTEES on ALL of our UP & OVER Garage Doors and all INSTALLATION WORK GUARANTEED. 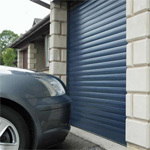 Steel | GRP | Timber | What is an Up and Over Garage Door? 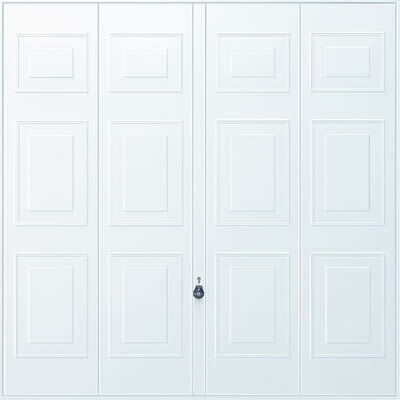 Up & Over Doors can be made from one of three standard materials, these vary depending on the choice of material that is required. 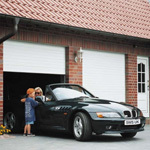 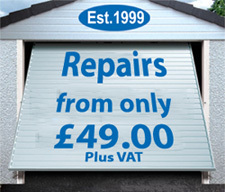 Steel- These garage doors offer excellent value for money. They are designed to provide you with maximum safety and security whilst ensuring years of reliable, hard wearing service. 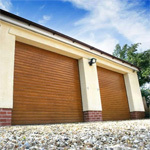 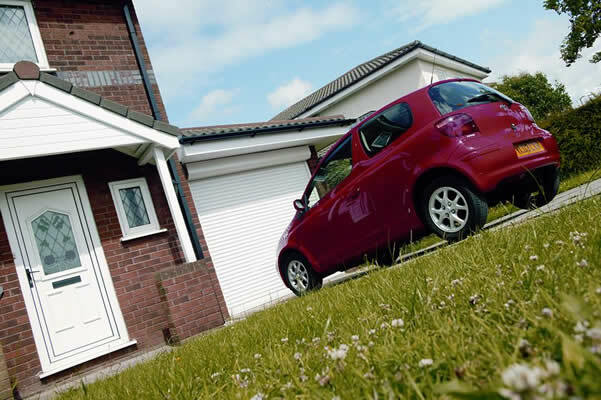 Whatever the size or the style, we'll have a beautiful garage door to suit your requirements. 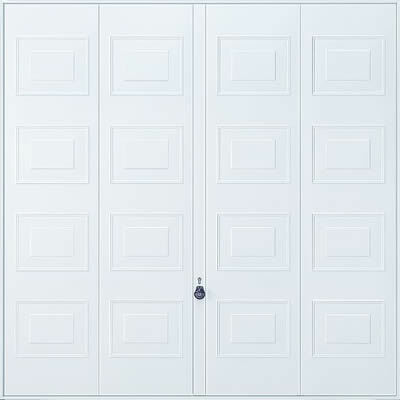 GRP (Glass Reinforced Polyester) - If you want a great-looking, low maintenance garage door then GRP is the material for you. 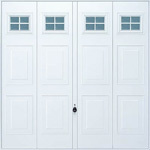 They are a sound investment for the future, such is there inherent strength and quality of manufacture. 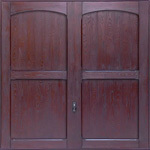 They are also available in a wide range of sizes and styles to satisfy our customers' specifications. 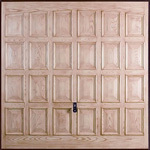 Timber - This material combines the warmth and beauty of real wood and the very best of engineering. 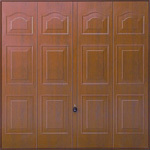 A beautifully machined solid Cedar door is a sensible choice as well as an aesthetic one and with the right care and attention will last for years to come. 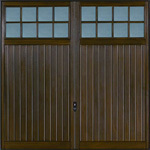 Nothing says quality quite like the craftmanship of natural, sustainable materials. 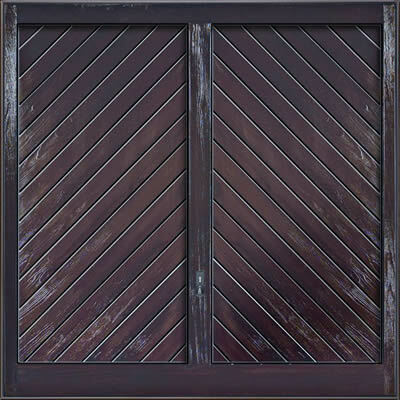 Steel - mainly have a Georgian (square panelled), Ribbed (horizontal or vertical lines) or Chevron (diagonal lines) design finish. 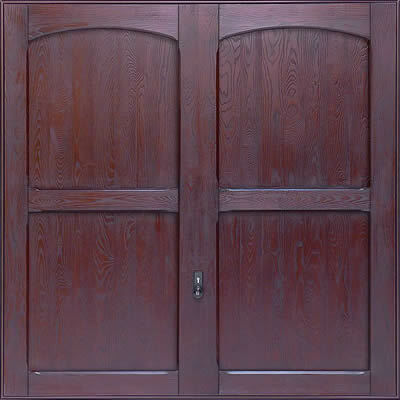 The Georgian and Ribbed designs have variations in styles, with the option of windows incorporated into them. 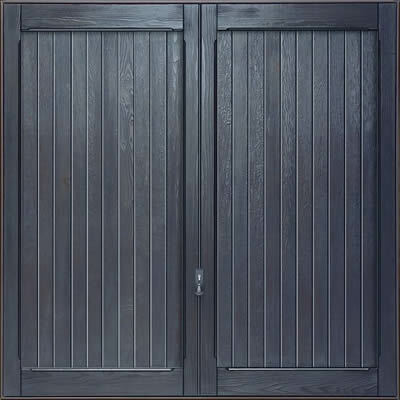 All designs can be supplied in an assortment of different colours with a realistic woodgrain appearance also available in the Ribbed design. 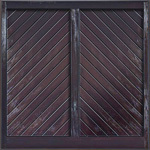 GRP - mainly have a Georgian (square panelled), Ribbed (horizontal or vertical lines) or Chevron (diagonal lines) design finish. 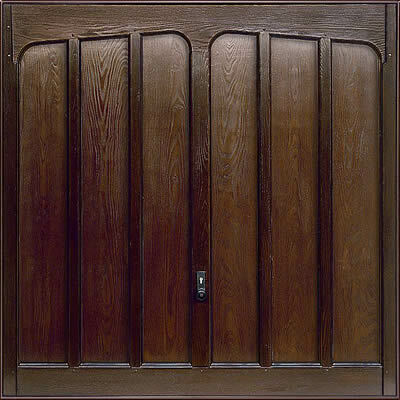 The Georgian designs can have different styles of windows incorporated into them. 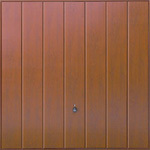 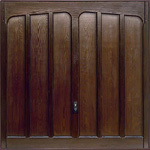 GRP doors focus more on woodgrain effects and therefore the colours are wood finish orientated, i.e. 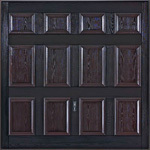 Mahogany, Oak, Honey, Ebony, White, etc. 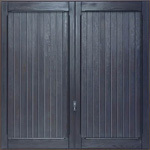 Timber - mainly have a Georgian (square panelled), Ribbed (vertical lines) or Chevron (diagonal lines) design finish. 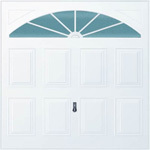 The Ribbed design can incorporate different styles of windows. 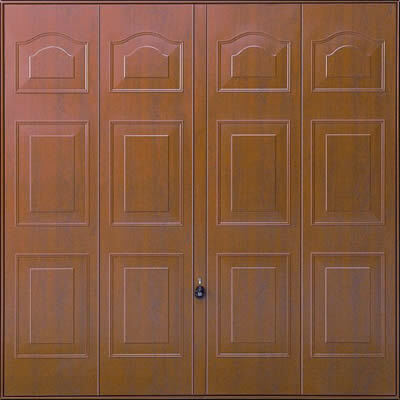 Timber doors are made from superb quality solid Cedar with the addition of high grade exterior plywood used on certain designs and stained to the shade required. 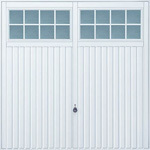 An Up & Over garage door is made of one single panel. 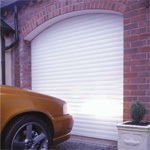 Manually it is opened using either tension or torsion springs for ease of use and minimal effort. 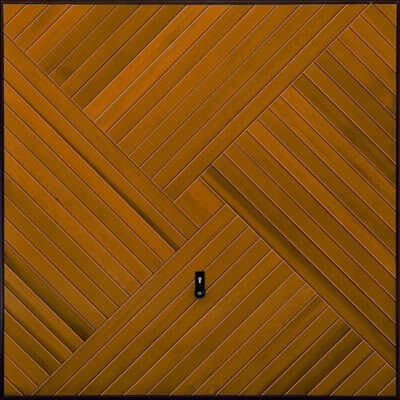 Automated it is opened at the touch of a button. 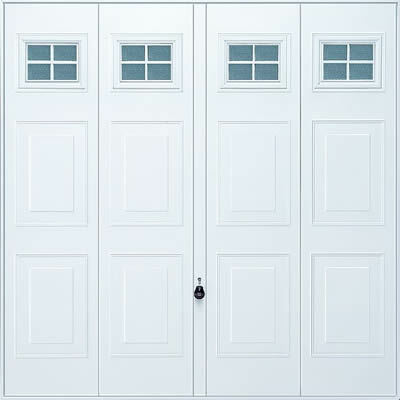 There are two types of Up & Over Doors on the market, the CANOPY gear mechanism, and the RETRACTABLE gear mechanism. 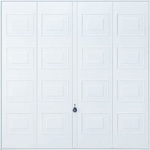 The Canopy door mechanism is mainly for single sized garage doors. 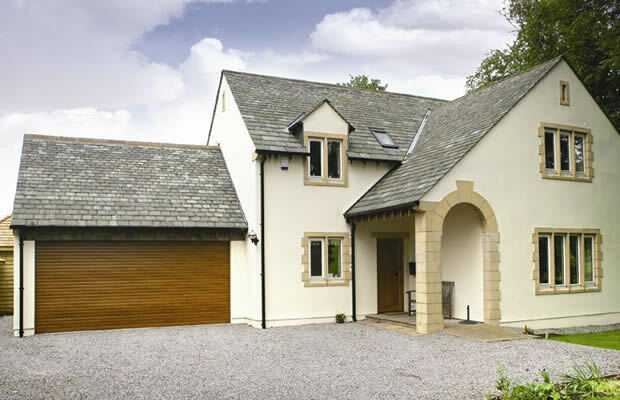 It is contained within the door frame with no horizontal tracks protruding into the the garage space. 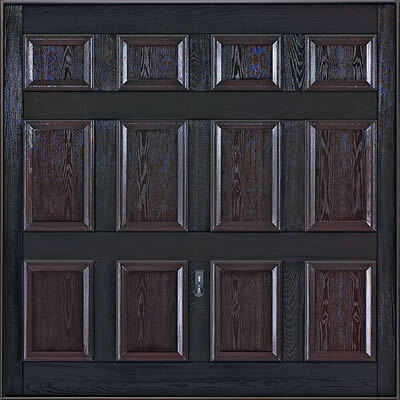 When opened, the door forms a 'canopy' with approximately one third of the door outside of the garage. 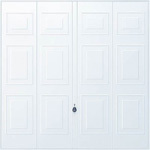 Ideally they are manually operated. 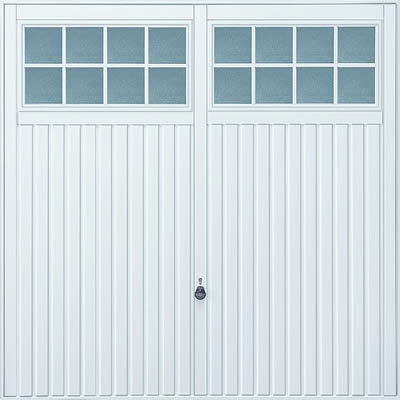 The Retractable door mechanism is for both single and double sized garage doors. 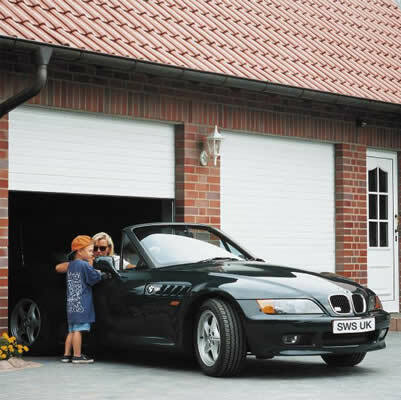 It opens along horizontal tracks inside the garage and travels back into the garage space when opened. 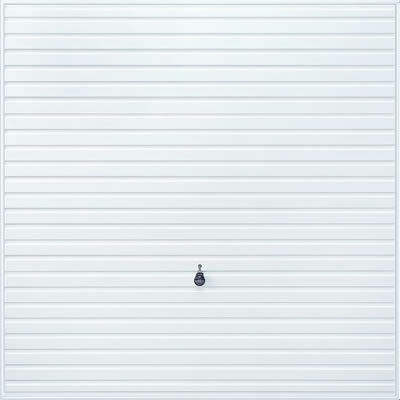 Retractable mechanisms are ideally suited for automated operation.